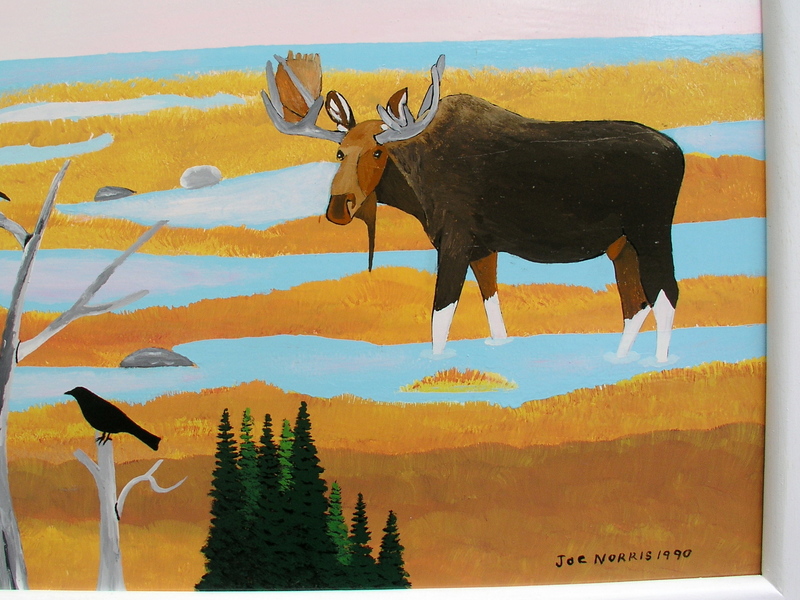 Joe Norris (1924 - 1996) is described as "the Dean of Nova Scotia folk painters" and "the Matisse of folk art". Joe spent most of his life in the small hamlet of Lower Prospect, Nova Scotia. After working in the fishing and construction trades, Joe Norris started painting when a severe heart attack forced him into early retirement in 1972. His work includes painted chairs, tables and chests as well as paintings, and is found in the collections of the Art Gallery of Nova Scotia, the National Gallery of Canada, the Canadian Museum of Civilization, and in many corporate and private art collections throughout North America. 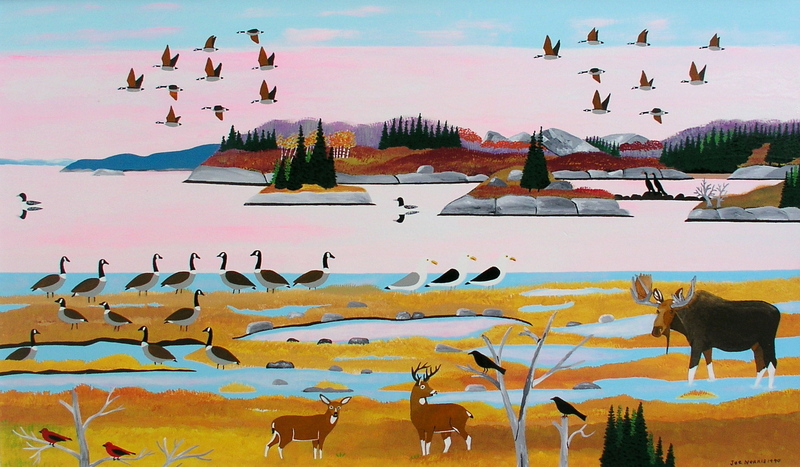 A hardcover book, Joe Norris - Painted Visions of Nova Scotia, was published in 2000, in conjunction with a retrospective of his work which toured Canada between November, 2000 and March, 2003. 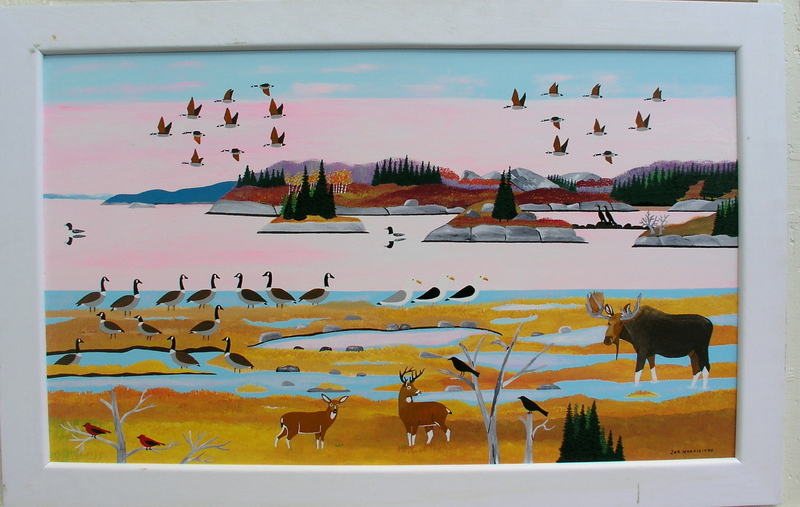 Here's a link to his bio: http://www.folkartcanada.ca/EC_JN.html. 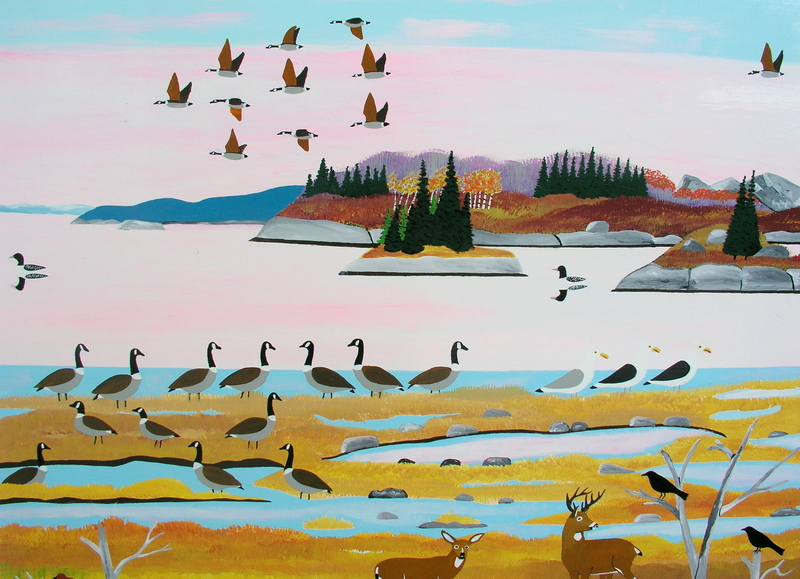 This is a large and significant oil on board painting called Gathering Geese in October which toured Canada and the U.S. 2006 -2008 as part of the Beaverbrook gallery show Canadian Folk Art from the collection of Susan Murray. It is in excellent original condition and in it's original frame. Framed it measures 35" x 54 1/2". The frame is 3 1/2" wide.